He shall be born in us, too. The blessing of God, His holy Son, was upon the shepherds, and it is upon us all. For “God sent His Son, born of a woman” that His “way be known upon earth,” “that we might receive adoption as sons.” And what greater blessing could man know than to fulfill his call as son of the living God? We are blessed, brothers and sisters, and we should proclaim it as the shepherds. The blessing invoked upon the people by Aaron has been realized in the birth of the Son. Through Him “the Lord let[s] His face shine upon [us]” – this is His grace come. And how else but in haste should we travel to Him? How quickly we should arrive at His side. And how amazed all should be upon hearing the blessings we have known, at the hand of our God. Mary is she who is truly blessed, and we honor especially today she “who kept all these things, reflecting on them in her heart.” For so obedient was she to God’s will that He was “conceived in [her] womb” and made flesh in our sight. So, let us thank her today for the blessing she has brought into our midst. As we are now sons of the Father with the Spirit of the Son “crying out, ‘Abba, Father!’” in our hearts, so we are sons of Mary, too, for the Lord’s divinity cannot be separated from His humanity – the two meet as one in Jesus Christ. This is our great blessing. From “an infant lying in the manger” shall come the salvation of our race, and the Mother of this renewed race, consecrated to God in Him who is “named Jesus,” we commemorate with our hearts and our voices in praise this holy day. May she now be the instrument by which “the Lord bless[es]” and “keep[s]” us; may she pray this day that “His face shine upon [us].” And may all her children be one in the blessing of Christ, her Son. Amen. Written, read & chanted by James Kurt; produced by Carie Fortney. Music by Carie Fortney; used by permission. YHWH, we are your sons now because Jesus has become our Brother. Born of the Virgin, His blessing is now upon our race – He it is who shines the light of your face. Let us glorify you for your blessing. Now we may call you “Father!” now that the Spirit of your Son is with us. For in Him we are adopted as your sons, LORD, and so through Him you are our Father. Let the light of your face shine upon us all our days. It is you who rule all nations, LORD; all the earth is in your hands. Yet you come to us as a little child, poor and lying in a humble manger. Let us ponder this wonder with Mary; let us keep your will and your Word ever in our hearts, that we might see unfold the revelation of your presence among us. Too wonderful for us is the grace you bring, LORD; yet let us live as your sons, born of the Blessed Virgin Mary. in the holy Catholic Church. In our first reading, John warns against the antichrists who come in this “final hour” to lead astray all those not founded in truth. Elsewhere he warns against anyone who does not recognize Jesus as the Son of God, as the Christ come among us. Certainly there are more than a few antichrists today, looking to distract believers from “the Holy One.” But as John says, “All knowledge is yours”: if we believe in Jesus, we have the truth written within us. Yet we must beware of faltering, for “no lie has anything in common with the truth.” Remain in His Church. Our psalm of David encourages us to “exult before the Lord,” to “sing to the Lord; bless His name.” And well we should this holy day to know of the Christ that has come “to rule the world with justice.” The Word has become flesh and left His flesh and His Spirit with the Church He has founded on the apostles – great is the joy of those who find their home there. And in our gospel we hear John’s beautiful and clear explication of the divinity of Jesus, the Word ever in God’s presence from the beginning, the Word that is “God.” There are pseudo-religious that change the evangelist’s words to say that the Word was “a god”; such is the work of the antichrists spoken of by Paul. For only in the clear recognition of Jesus as “God the only Son,” only in the unequivocal proclamation of His divinity – that He is God – is salvation found. For this is Truth, Truth brings light, and the light has no discourse with the darkness of lies. Come to Him who has come unto you, brothers and sisters. Seeing Him you see God and know God. And knowing God you “know the truth” and so exult in the joy of His presence in His Word, in His Sacraments, in His Church… in His love. Praised be the Lord and His dwelling among us. let us live in the truth that He is God. YHWH, thank you for the truth you have given us, the glory you have revealed through your only Son. Your Word has become flesh and so your very light shines now in our midst – may we embrace Him and His love. Though surrounded by the darkness of lies, we find our way to your truth, O LORD, by your Son and the Holy Spirit with whom we are anointed through Him. Now we know the truth and are gifted with all knowledge therefore – let us exult in the gift of life you provide. Whoever does not acknowledge your Son does not know you, Father, and does not have the Holy Spirit. Let us know well Him whom you have sent and bless His Name among ourselves. Praise and glory belong to Him alone for He alone reveals your glory. O let this light shine in the hearts of all men, of all who would rejoice in your presence. to be as brother to Christ. pray we not fall short of your grace. If Hannah says of Samuel, “As long as he lives, he shall be dedicated to the Lord” even as she leaves her son with Eli in the temple, should not Jesus be equally dedicated to God, being His true Son? If as John rightfully says of all those who live in God’s love and follow His commandments, “We are God’s children now,” how much greater a child of God is He who serves to make us children? And so, where should He be but the temple of the Lord? But Jesus’ parents do not look for Him there, indeed are “astonished” to find Him there – and thus perplexed at His answer to them – because they have no word that He will be like Samuel, that they are to leave Him in “the midst of the teachers.” Surely Mary knows of her own kinship with Hannah, for this is indicated clearly in her Magnificat, which mirrors so closely Hannah’s own canticle of praise upon conceiving her son. But that Jesus should be separated from them at this time, that He should in essence begin His ministry, begin plying the leaders of the people with revelatory questions so that “all who heard Him were astounded at His understanding and His answers,” now, at twelve years of age, is not known to them. Thirty is the customary age for the start of one’s ministry, is it not? And their Son has not even reached His bar mitzvah yet! It must be noted that Jesus gives place to the customs of the race. We are told “He went down with [Joseph and Mary] and came to Nazareth, and was obedient to them.” Though certainly the Son of God is prepared to teach even as He begins to talk, yet He does not remain in the temple at this time. He is obedient. And obedient particularly to Mary, who shall indeed indicate to Him the start of His ministry, at Cana. And He shall be obedient there to her, too, even though He says then that it is not His time. The Son must be in the Father’s house, for more than any of God’s children His “soul yearns and pines for the courts of the Lord. [His] flesh and [His] heart cry out for the living God.” His heart is ever “set upon the pilgrimage,” for in the temple is His home. But the truly Beloved Child of God remains among us in our mundane lives, taking the cross of earthly existence upon Himself, enduring all for the sake of God’s children. And through His Mother’s intercession even “Jesus advanced in wisdom and age and favor before God and man.” So may we all. So may we all be so obedient, so prepared for the Father’s House. Music: "Heaven" from Listening to the Lamp, ninth album of Songs for Children of Light, by James Kurt. O LORD, remain in us and let us remain in you. YHWH, your Spirit you give us to make us your children, to make us even your very temples. Let us remain in your House always! One with the Holy Family let us become, blessed as Joseph and Mary, and your Son Jesus, blessed to be called your own – blessed to be one with all your chosen ones in the heavenly kingdom. O LORD, remain in us! If we must leave our earthly family behind, so be it, LORD. If we must leave the caravan of our relatives and friends to enter your Temple, to remain with you, let us freely answer such a blessed call and dedicate ourselves to you alone. And if we must return to the house of our mother and father, let us be obedient to them in your Name. But wherever we are and whatever we do, let our lives be a holy offering to you. Our souls yearn for your courts, O LORD; our heart and our flesh cry out for you. O let us dwell in your House! Let our prayer come to your ears that we might be your beloved children, pleasing you in all things and growing unto your kingdom. in whose place they stand? you now know in our Savior’s presence? in our pilgrimage on this earth. “The darkness is over and the real light begins to shine,” and we must live in that light. “My eyes have witnessed your saving deed displayed for all peoples to see,” declares Simeon in his prophecy over the Christ child. “In accord with the dictate in the law of the Lord,” though He Himself is God, Mary and Joseph dutifully bring Jesus to the temple to be “consecrated to the Lord” as every first-born male must. And there the “just and pious” Simeon who so patiently “awaited the consolation of Israel,” the coming of “the Anointed of the Lord,” takes the child “in his arms” and blesses God for His gift, His mercy. Learn from these the attitude all must have. In their faithful observance of the commands of God and the inspiration of the Spirit, they fulfill His Word. And so light dawns for us and we know of its presence in our midst. Now we must continue to “announce His salvation, day after day tell His glory among the nations; among all peoples, His wondrous deeds.” Our deeds must mirror His deeds; His light, “a revealing light to the Gentiles, the glory of [His] people Israel,” we must shine. The sign has come; the new commandment which has been of old must now be realized in each of us. As a sword has pierced the heart of the Blessed Mother, so it shall pierce the heart of everyone who unites himself to the Blessed Child, who follows in the steps of our blessed Lord. “The thoughts of many hearts [shall] be laid bare.” There will be no hiding from this light that has come. If you think you can claim to know Him “without keeping His commandments,” without conducting yourself “just as He did,” you must know that your lie will be exposed. “The man who continues in the light is the one who loves his brother.” Only this will save you, for only love is of light; hatred is only of darkness, and in the Lord there is no darkness. Let us join with Simeon in proclaiming His salvation. Let us join with David in singing of the “splendor and majesty” of the Lord. “Praise and grandeur are in His sanctuary.” And let us do this principally with our very lives, becoming as the temple of God who is presented to us this day. be revealed to our eyes, and in our actions. YHWH, your light be revealed in us this day as it was revealed in your Son to the eyes of Simeon. May Jesus live in us and we shine His glory forth, that your Word may indeed be fulfilled in all our lives. We are in darkness, LORD. As we keep not your Word, your Law, your command to love, we stray from right paths and become blind to your presence. If we do not live your presence, if we do not do your will, how can we claim to be of you? How can we say we are your disciples if we do not do the things your Son has done? Take us from the shadows, LORD, and reveal to our eyes the presence of Christ in our midst. Dispel all the dark of hatred and doubt and error by this unending light you shine upon us. And let us truly be transformed by the light of our Savior that we might announce His salvation every day of our lives until our last breath on this earth. Then let us live with you forever. will know the light of Christ’s holy face. And as martyrs of the Church, these innocent children slaughtered by Herod participate in the pouring forth of the blood of Christ. “Out of Egypt I have called my son.” What does the prophet mean but that by the only Son all shall be redeemed of their sins – that out of sin all are called, all are drawn by the Lord? “Broken was the snare, and we were freed” when the child was born, when He died upon the cross. And that death is begun already in the slaughter of the holy innocents, whom indeed we commemorate as martyrs this day. In their sacrifice the cross is already known, though the Child Jesus be but a boy. No greater evil, no greater act of sin could be than Herod’s cruel decree to “massacre all the boys two years and under in Bethlehem and its environs.” And in the “sobbing and loud lamentation” rising from the town where Jesus was born we hear presaged our own cry, our own beating of our breasts as we gaze upon the crucified body of God’s Holy One. It is sin that brings the slaughter of the innocent children, and it is sin that causes Christ’s crucifixion. And we are participants in that sin, brothers and sisters. “If we say, ‘We have never sinned,’ we make Him a liar and His word finds no place in us.” For He has come because of the sin which encompasses mankind, to redeem us from its sentence of death. And the blessed apostle John makes clear that we are indeed all participants in sin, and if we deny this fact we make His sacrifice null for our lives and continue to walk in darkness. We must all bewail our sins and the horrors they have wrought, and from their snare we shall be released – else the “raging waters” will overwhelm us. The souls of the innocents slaughtered by the evil king have been preserved, for their “help is in the name of the Lord, who made heaven and earth.” Our souls, too, shall be redeemed “if we acknowledge our sin,” our complicity in evil. For “He who is just can be trusted to forgive our sins and cleanse us from every wrong” if we are but able to see we are not innocent as He, or they. Music: "My God, My God, Why Hast Thou Forsaken Me?" from Bearing the Birth Pangs, tenth album of Songs for Children of Light, by James Kurt. make us innocent as these children. YHWH, what horrors our sins have wrought? Are we not complicit in the slaughter of these little ones, as indeed we are complicit in the crucifixion of your Son? Should we say, “We are free of the guilt of sin”? Should we deceive ourselves about the darkness in which we find ourselves? If we should, we would make void the sacrifice of Christ for the cleansing of our souls. For what would then need to be cleansed, and why should He have died? The truth is we are surrounded by sin and it would overwhelm us without the blood shed by Jesus. It is He alone who breaks the snare that holds us, and His martyrs share in His sacrifice. And we are called by you, O LORD, to share in this holy offering with them. Out of Egypt you call us, LORD, far from the darkness of sin. And if we admit our sin before you, in such light of truth we can be assured of your forgiveness. To Jesus let us come; at the foot of His Cross let us remain, and we shall never be separated from His cleansing grace. and been raised from the grave. in the joy you knew so well. And “the eternal life that was present to the Father and became visible to us,” which John now proclaims, is Jesus Christ the only Son of God, risen from the dead and present to us now even as He sits with the Father. John has seen Him. He has believed in Him. His “hands have touched” Him and so he “proclaim[s] the word of life” made so real in his midst. What else could he do but declare that which burns in his heart? What else could be the Evangelist’s desire but to share the blessing he has known as “the one Jesus loved”? For brimming with love this apostle is, and only in writing of this joy, only proclaiming it to the world and seeing others enter into such selfsame blessing will make his joy complete. To this he has been called by the Lord. “Light dawns for the just,” David declares, as if in his psalm to presage the coming of Christ and John’s own words on the coming of Light to this earth. And indeed the just shall see Him, and gladness shall be “for the upright of heart.” For all the just shall “be glad in the Lord… and give thanks to His holy name,” for their souls drink deeply of the salvation in their midst; they know Him whom their hearts love. They see Him, and believe. And I note the special significance “the piece of cloth which had covered the head” of Jesus – which was “not lying with the wrappings, but rolled up in a place by itself,” as John tells us in his gospel – seems to have as a catalyst to belief. John had seen the wrappings before entering the tomb, but not this cloth, and it is when he enters he sees and believes. It is as if the Lord left it neatly rolled up in a place by itself to indicate to them that He had not “been taken from the tomb” by robbers, as Mary Magdalene (another beloved of Christ) seems to fear. Why would a thief take time to do such a thing? And so, Jesus’ touch is upon the cloth. “All peoples see His glory” now, brothers and sisters. By the witness of John and all the apostles, eyes are opened to His presence. Let us see Him with John; let us touch Him… and let us know His touch upon our hearts, and so continue to proclaim His glory. Written, read & chanted by James Kurt; produced by James Kurt. YHWH, let all men see your glory in the presence of your risen Son. Let all men come to that glory through faith in Him. Let us hear and believe what John tells us – that He has walked among us in the flesh, that the apostles’ hands have touched Him… that our hearts might be touched by His presence, and so your own. With our eyes let us look upon your glory, LORD, we who are so blinded by sin and slow of heart to believe. Let us run to the tomb with your apostles that we may see your Son has been raised from the dead, that death no longer has dominion over us but with Him we have been raised. Let us rejoice at the light that dawns in our midst. You are king over all the earth, LORD, and all the heavens proclaim your justice and your truth. May we join in the choir of your angels and your holy apostles in declaring your glory to the ends of the earth, that all men might be loved by you as was John. O let our hearts be set on Jesus! with you in the glory of God. The world cannot stand up to the Word of God; even death has no power over those who trust themselves to His Spirit. It is this trust Jesus speaks of in our gospel when He warns His apostles beforehand of the persecution which awaits them. He tells them that when they are dragged before rulers to “give witness… on [His] account”: “Do not worry about what you will say or how you will say it… the Spirit of your Father will be speaking in you.” And it is this trust, even unto death, that Stephen exemplifies so perfectly. David echoes Jesus’ words on the cross in our psalm: “Into your hands I commend my spirit,” and Stephen lives them in our first reading. While being stoned to death he prays, “Lord Jesus, receive my spirit” (and proceeds to forgive those who kill him). And so this feast of our first martyr follows our celebration of the birth of our Lord, for it is in this world we are handed over to death, and it is in this world we must suffer in love. Entirely we must trust ourselves to the care of God to find the vision of heaven – “I see an opening in the sky, and the Son of Man standing at God’s right hand” – which becomes Stephen’s own. The words we speak, if they are blessed by God, will bring us inevitably unto heaven. If it is the Spirit who works in us, what need we fear? For what is more powerful than He? Where is greater truth to be found? And so, to whom else should we turn? “Whoever holds out till the end will escape death,” brothers and sisters. Though “hated by all” for our love of Jesus, if we continue ever to love even those who hate us, His Spirit will lift us unto Him and provide all we need, in words and works, to conquer the evil of this world. May the sweet blood of Jesus cover all His children and bless their witness to Him. YHWH, let us take refuge in you, in your Son, and in the Spirit, and we shall never die but be raised to life in glory with you forevermore. May your Spirit speak through us and we lay down our lives with your Son. A crown awaits those who love as you love, dear LORD, who follow in the way your Son has marked out for us. If we speak your truth, if we trust in you and do your will, you will protect us even from death – you will save us from the plotting of men, and we will stand at your right hand even as the stones rain down upon our heads. St. Stephen, pray for us this day that we will be led by the Spirit of God and be unafraid of speaking before the rulers and kings of this world. May our blood be joined with your own and so we, too, be one with our Savior. The coming of the One prophesied by Isaiah and hailed by John these many days is fulfilled in our midst at this blessed moment in time. And so in our dark world, the light that is God now shines. “Hark! Your sentinels raise a cry, together they shout for joy, for they see directly, before their eyes, the Lord restoring Zion.” To “all the ends of the earth” He makes “His salvation known: in the sight of the nations He has revealed His justice.” For the Lord God walks among us now as man; He “who is the refulgence of His glory, the very imprint of His being,” is now revealed, is now made flesh; “full of grace and truth,” He appears in our midst. “In the beginning was the Word, and the Word was with God, and the Word was God.” And He through whom “all things came to be,” who brought life, “the light of the human race,” now shines – and now we come to know Him; now we hear the Word spoken to our ears… now we can say, “The Word became flesh and made His dwelling among us.” The Word no longer hidden, God no longer speaks “in partial and various ways,” but now “through the Son” the fullness of truth, the blessing of peace, is upon us. “How beautiful upon the mountains are the feet of Him,” for He comes “announcing peace… announcing salvation.” No longer need we wander in darkness, wondering, Where is our God? He is here. He is Jesus. He washes all darkness from our minds, He accomplishes “purification from sins,” and He sits “at the right hand of the Majesty on high,” giving power to be like Him, “to become children of God, to those who believe in His name, “who were born not by natural generation nor by human choice nor by a man’s decision but of God.” Come, see and know the transcendent glory standing in our midst. And so, what have we to do but rejoice? Though “no one has ever seen God,” though He has seemed to us beyond understanding, yet “the only Son… has revealed Him.” So let us “sing joyfully before the King, the Lord” “with the harp and melodious song.” Let us “break into song” and “sing praise.” For He whom “all the angels of God worship” has come for our salvation, and our Christmas should only be merry. God be with you, brothers and sisters. Jesus love you. Music: "Baby Being Born" from The Innocent Heart, first album of Songs for Children of Light, by James Kurt. and so let us offer you due praise. YHWH, your Son is born in our midst and so reveals your glory to us. His light now shines in this dark world, and so men are saved from their sins. O let us worship Him who is the very imprint of your Being! who is one with you. You are with us this day in your Son, and what should we do but rejoice. Glory to you, LORD and GOD, for now the feet of Jesus walk among us and peace is proclaimed to the ends of the earth; salvation is ours by the grace and truth He brings to this land. Let all eyes behold the salvation He has wrought in our midst. Let all souls break out in song in praise of His glory. It is our joy to worship you, O LORD, and the only Son whom you have sent. For you are our life; in you we are born – by you all Creation comes to be. And now you are with us in the flesh of your Son; now your dwelling is among us. To us this day please bring your peace. Here is the “infant wrapped in swaddling clothes and lying in a manger”; here is He who saves all from sin, born into our humble humanity. Yes, “a child is born to us, a son is given us,” and “upon His shoulder dominion rests.” This little one wrapped in our own flesh is indeed named “Wonder-Counselor, God-Hero, Father-Forever, Prince of Peace. His dominion is vast and forever peaceful,” for He rules all the earth with His loving justice. And so what should we do but “announce His salvation, day after day”? What can we who are overwhelmed with the joy of His presence in our midst do but “tell His glory among the nations; among all peoples, His wondrous deeds.” For He has come for all nations and all people, to live in their hearts this day. “Let the heavens be glad and the earth rejoice”; and let all mankind join the angels in their song of praise: “Glory to God in the highest and on earth peace to those on whom His favor rests.” The Lord has come “to deliver us from all lawlessness and to cleanse for Himself a people as His own,” to bring His surpassing peace to all souls set on His goodness and His glory. So, let us be “eager to do what is good,” that we might be as He is, that we might share in His eternal peace. To Bethlehem the Virgin came at the time of the census. There “the time came for her to have her child,” He who is our Bread of Life. For He is enrolled among our number now; God has been made man – and nothing could give life to waiting souls like this miracle of new birth in our midst. And so, let us know the humble shepherd’s awe; let us hear the word the angel brings, for he “proclaim[s] to [us] good news of great joy that will be for all people.” Jesus our Savior is with us today. Written & chanted by James Kurt; read by Sylvia Kurt; produced by Carie Fortney. The Lord builds a house for us; He is that House. “Forever will I confirm your posterity and establish your throne for all generations,” the Lord promises David, and accomplishes His word by Himself entering the line of the king. Thus “He has visited and ransomed His people. He has raised a horn of saving strength for us in the house of David His servant” in the Person of Jesus the Christ. And so we shall find “freedom from [our] sins” and “the kindness of our God” shall remain upon us. “To guide our feet into the way of peace,” Jesus has come. To bring “salvation from our enemies and from the hands of all our foes,” He stands among us. Zechariah’s joy at the birth of John, his son, is really the joy in the coming one, for whom John but “prepare[s] straight paths.” The Spirit inspires this old priest to sing primarily of the fulfillment of the promise long held by his people, the promise of Abraham, the promise of David – the promise of finding fulfillment as God’s chosen ones, held in His hand, in His temple, in His house, and protected from all harm while worshiping Him in spirit and in truth. This Jesus accomplishes. And so, “we should serve Him devoutly, and through all our days, be holy in His sight,” for no greater gift have we than this opportunity for holiness in the one true Son of God and in the House He establishes. Should not the Church be our home? Has not the Lord provided for the building of its walls? Has He not provided His own flesh and blood to be spread upon its altar? Has He not “fix[ed] a place for [His] people Israel… that they may dwell in their place without further disturbance”? Has He not said, “My kindness is established forever,” and “in heaven… confirmed [His] faithfulness”? And should we not enter His house, enter His heaven, and praise His holy Name? Here we stand, with His Word, with His Body and Blood. Here we have His teaching and His food. What more need we? And this day the Child who is the House of God approaches. Are we ready now for His coming? fulfill your promise and make us your sons. YHWH, we sit in darkness waiting for the coming of your Son; open our eyes to see His light and our mouths to sing of His glory. Let us enter into His way of peace. Deliver us from the enemy, O LORD, from the sin upon our souls. How shall we be made free of our sins, LORD, except that you come to us and fulfill your Covenant with us, that you shall be our Father and we your children? And how shall you accomplish this except by the birth of your Son in our midst? We would have remained ever blind and dumb had Jesus not come to open our eyes and loose our tongues, had you not had such mercy on our souls. A House you established for David, a place we all may dwell. And the birth of this House is upon us now. May we enter in and serve Him, LORD, that with Him we might stand firm forever. so thoroughly as a child of the Lord. for whom you are a model of perfection. From the womb of Bethlehem-Ephrathah, from the womb of Judah, has come forth “one who is to be ruler in Israel; whose origin is from of old, from ancient times.” Now “she who is to give birth has borne”; now has our Savior come. Though He has existed from time’s beginning, it is now He is made flesh in the womb of this simple virgin. “When Christ came into the world, He said; ‘Sacrifice and offering you did not desire, but a body you prepared for me.’” And so God comes in His own flesh to take away our sins. Prepared in the womb of the Immaculate Virgin, in this bright cave He is knit with sinews as we… and who could proclaim loudly enough the majesty of this humble event; who could declare in fullness the blessing of this Mother and Child? And their union is one which will save our race, as shown already in the Baptist’s leap for joy in his own mother’s womb. The Holy Spirit is working fully in the wombs of these mothers and in their children’s flesh and blood. And so the psalmist finds answer for his prayer to God: “Rouse your power, and come to save us.” For here comes “He [who] shall stand firm and shepherd His flock by the strength of the Lord, in the majestic name of the Lord, His God”; here is the One whose “greatness shall reach to the ends of the earth.” And so shall all who trust in Him be saved. In body He comes like a Rock upon whom our feet stand firm. In the Spirit has He been formed in His Mother’s womb. And, yes, blessed is she “who believed that what was spoken to [her] by the Lord would be fulfilled”; and blessed are all those who have faith in the Son she bears. For all time meets in this moment; all prophecy speaks with one voice of the birth of this Holy One. And so, let us pray to God the Father: “Protect what your right hand has planted, the Son of Man whom you yourself made strong,” that we might praise forever the glory of your presence, in the salvation you have made known. May the peace He is be with us always. Music: "Baby Inside" from The Innocent Heart, first album of Songs for Children of Light, by James Kurt. that new life may stir in us as well. YHWH, blessed is the womb of Bethlehem, of Israel, of Mary the Mother of your Son. For in her you have prepared a body, the body of Jesus, the Word made flesh, that shall be as offering for our sins. In Him we are saved, for in Him your majesty reigns, and so your glory is now in our midst. O let us leap like John the Baptist at the approach of your Son and His Mother! Bring to life what has remained dormant for such a long time. Arouse within us the joy of new life that we might be stirred to proclaim your glory. He has come who shall shepherd us, LORD; let us be filled with the Holy Spirit. The sacrifices of old now pass away as all prophecy is fulfilled in the flesh of your only Son. And so we pray, let your will be done. Let your greatness reach to the ends of the earth and your peace reign in every heart by the power upon Jesus the Christ. O LORD, let us be consecrated to you in His holy offering. The Magnificat of Mary mirrors but, if I may say, far surpasses the Canticle of Hannah in beauty, in wonder, in grace… even as the perfection of the Son she bears far exceeds the blessing of the prophet Samuel. As Jesus brings to fulfillment the greatness of all who came before Him, so Mary’s song expresses that perfection in the light of the same divine mercy. Mercy indeed is infused in each line she utters under the power of the Spirit. Mercy and truth, a love completely open to the blessings of God is hers and is revealed in the words which fall like cleansing rain from her immaculate lips. She is blessed, she knows, and she shall be called blessed; for the truth, the Word of God, cannot be hidden, must be raised to meet the eyes and ears of all who seek His grace. For “the hungry He [gives] every good thing,” and the lowly He raises “to high places.” She is “His servant in her lowliness” and the joy of such blessing she cannot help but proclaim with all her being. Hannah brings the child she has conceived in answer to her prayer, through the intercession of Eli – by the grace of God – and dedicates him to the Lord, leaving him at the temple. She, too, “exults in the Lord” for the fact that, in the Lord’s will, “the barren wife bears seven sons”; for she who was thought sterile has borne the great man of God, Samuel. Mary, in her grateful appreciation for the blessing upon her, will not need to leave her child at the temple, for He has been conceived entirely of the Holy Spirit and is Himself the Temple of the Lord, wholly dedicated to the will of the Father from before the inception of time. As the ancient Israelites found the direction and guidance of God through the ministry of Samuel, as by him they were led to serve the Lord their God, so now in this the end of the age we have Jesus, the perfect light of guidance through the grace and mercy of God, to lead us to the total service of the Lord that Mary embodies so well. God is “mighty,” brothers and sisters; “holy is His name.” Let us rejoice in Him who “has upheld Israel His servant, ever mindful of His mercy,” and let us make that same blessed mercy the leaven that lifts us unto heaven. To Him let us sing our song of praise. may we all become as your Temple. YHWH, to the humble you show your mercy; you raise them up to dwell with you. 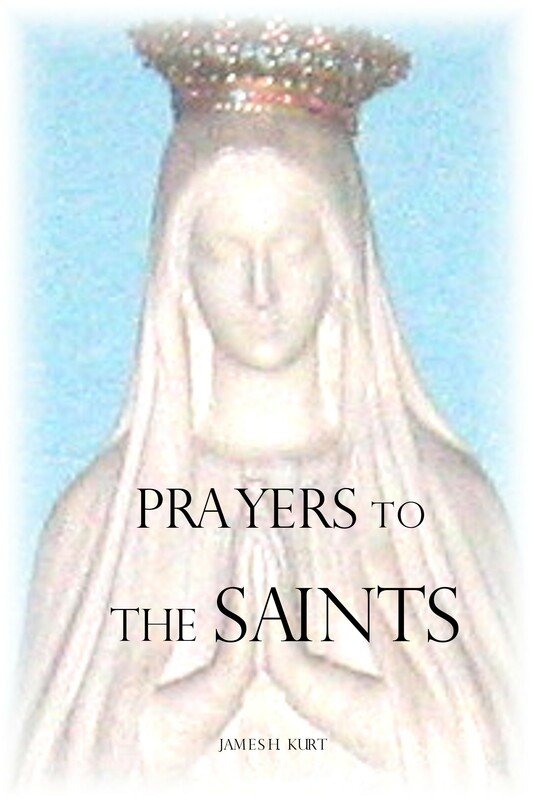 Our Mother Mary is the humblest of our race, and so she is at your side forever in Heaven. O may we be blessed as she! Hannah, too, you blessed, O LORD, she who had borne no children. Samuel, the man of God, you gave to her, for she had promised to give him to you. But the Son of Mary who could give to you, for He is with you always? Let us be with Him this very day, that we might remain in your Temple. O LORD, the proud and the mighty you tear down that they might know they are of the earth. But the meek and humble you raise to high places, even to your presence. Let us leave behind all the riches of this world; help us to escape the trap they are to us, the death they spell to our souls, that with the lowly we might dwell, in your eternal kingdom. O let your servants live! the Lord God provides His pilgrim people. but come together as one in His presence. “Who am I that the mother of my Lord should come to me?” – she who comes bearing the Christ child, she whose very voice magnifies the presence of the Lord. Listen to the witness of Elizabeth: “The moment your greeting sounded in my ears, the baby stirred in my womb for joy.” Mary carries the Son of God not only in her womb, but in her soul; the Spirit working within her serves to inspire him who shall go before the Lord, and so she paves the road the forerunner of Jesus shall tread. How one are mother and child! Never so evident has it been than in this passage from Holy Scripture. For Mary’s voice carries the very presence of Jesus, and Elizabeth’s ears convey that presence to her child. Here is that relationship of love depicted in our reading from the Song of Songs exemplified most clearly; here is the oneness of lover and beloved. And the loveliness of the lover becomes the loveliness of the beloved; the blessing of the Child becomes the blessing of the Mother – and in this love the earth brings forth its fruit. “The fig tree puts forth its figs, and the vines, in bloom, give forth fragrance.” “The Lord, your God, is in your midst,” and He blesses all with His presence. He calls to your soul to come forth and know His love. “Springing across the mountains, leaping across the hills,” He hastens to your side. He visits you. He visits you, speaking to your heart, calling you to arise and join Him. As Mary visits Elizabeth, “proceeding in haste into the hill country,” to bring her Son to the son of Elizabeth and so producing joy in this unborn child’s heart – so she brings her sweet Jesus to us this day, her voice speaking of His glory to the ears of Mother Church. And so she becomes our Mother; and so she becomes our lover, for she bears the great lover of all souls to wed Himself to us as He is so perfectly wed to her. His sweetness comes to us through His “beautiful one,” causing our hearts to rejoice at the sound of her voice and leading us to sing songs of praise to His holy name. Let us raise the joyful shout to our God! help us to bring Jesus to every waiting soul. YHWH, should we not rejoice at the coming of your Son? He comes to us across the hills in the womb of His Mother: should His approach not fill us with expectation and wonder, with joy in the Holy Spirit? And should we not cry out that joy with the Baptist and his mother? She who secluded herself for five months is now in her sixth, and now your Son comes to her. And what has lain dormant within her womb springs to life at the sound of the voice of His Mother. O LORD, are we not just so in need of your Spirit to awaken in us the love that has been dormant these many days? Do we not begin to doubt your gifts to us as we long to see them fulfilled, as we sit this day in darkness? And will you not come to us in your Son, in His Mother who carries Him to our side – she who is your perfect Bride? You desire to rejoice over us, O dearest LORD and God, and so our misfortunes you take away, and so the darkness of winter you dispel. Even we who are aged in sin you find beautiful. May our loveliness match your own. May our voice be pleasing to you. “The virgin shall be with child and bear a son, and shall name Him Immanuel because ‘God is with us.’” “The virgin’s name was Mary.” And she has given birth to the Savior. “Who may stand in His holy place?” King David sings in our psalm. “Who can ascend the mountain of the Lord?” Clearly Jesus is He. But as clear is that we are all called to be as He, and that she has been, she who is so like Him – she that is indeed His Mother. It is she who “seeks the face of the God of Jacob,” she “whose hands are sinless, whose heart is clean, who desires not what is vain…” and so she “receive[s] a blessing from the Lord,” the greatest blessing: the Son of God. O glorious Virgin Mary! You who worship so perfectly, so completely, the One who owns “the earth and its fullness, the world and those who dwell in it,” and so bring that very fullness to us all, teach us to be like Jesus your Son, whom you imitate so absolutely, so naturally. Teach us to be as He who is flesh of your flesh. Be our Mother as well, that we might be brother and sister and mother to the Lord. Aid us in giving our total consent to the will of God. “O highly favored daughter! The Lord is with you.” Pray He be with us now, too. “With that the angel left.” Upon receiving her wholehearted acceptance of her call, his mission is finished, and so he goes. Brothers and sisters, may the angel leave our presence so satisfied that the call of the Lord for our lives will be so well answered. Take heart that “nothing is impossible with God” and that as blessed as she is, so blessed does the Lord call you to be – if you but say yes to His word burning in your soul and lay down your life as has the Mother of God. Give the Lord your “yes” this day. and so, able to stand in your presence. YHWH, she whom you call to be Mother of your Son is indeed sinless in your sight. Because her heart is clean, she can accept your Word and give birth to our Savior. O may we be of her race! May we with all our souls seek your face and so find the blessing that is upon her. O let us know your only Son in our midst! The blessing you give us we could not imagine – it is beyond our ability to conceive. Yet, LORD, you come to us; you prepare a Virgin from among us that your Son might be with us and so we with you for all ages. O let all be done according to your will! Let us all follow the obedient path of our dear Mother. Let us be her children, O LORD, and so your own. O Mother of our Lord, blessed among women, most blessed of our race, pray for us this dark day that we will hear the Word of God spoken to our hearts. Pray our hearts be pure as your own, that they might receive our Creator. How the above line from our psalm is reflected both in Samson and in John, and how parallel are the lives of these two great men. Of John it is said, “He will be filled with the Holy Spirit from his mother’s womb”; of Samson, “This boy is to be consecrated to God from the womb” and “The Spirit of the Lord began to be with him.” The birth of both is announced by an angel of the Lord. Both will be born of women who were barren. Both will be nazirites, who shall “never drink wine or strong drink,” and whose head “no razor shall touch.” Both come for the deliverance of the people, though Samson only from “the power of the Philistines” while John comes to “prepare for the Lord a people well-disposed,” that we might have eternal salvation. Of course, Jesus, too, will have His birth announced by the angel of the Lord; He will be born of a woman from whom it seems no child could come – a consecrated virgin – and this of the Holy Spirit, who is with Him even before time. His is a new testament, however, signified by His birth of a woman of youth and not old age. Though hailed by the old, He brings the newness of God into our midst. His birth fulfills all the births and words and wisdom of the prophets and judges and kings of the Old Testament. But, returning to our psalm and its universal call in the voice of Christ (words which apply to all in their quest for God), we should remember today that for all, God is our “rock of refuge” on whom we “depend from birth.” “You have taught me from my youth,” the psalmist declares to the Lord, and so it should be true with us all that from the womb “till the present [we] proclaim [His] wondrous deeds.” He works in all our lives, brothers and sisters; He has brought us all to birth and is acting now, His Spirit upon us, to see that we are born into His kingdom. The great figures of the Old Testament, and especially John, are models from whom we can all learn, holy men whom we can certainly admire. But as our Lord has stated clearly, none of those born of woman can compare with those born into the kingdom of heaven. And so, let us take our strength for our journey from His prophets and from His Word; from His Spirit let us receive what we need in this life for our journey to His paradise. As strong as were Samson and John, so much stronger can we now be by His Body and His Blood, our holy food on this earth, and by His Spirit upon us. your Spirit be with us. YHWH, your power is upon the mothers of both Samson and John, and so upon their sons. They are born by your will to bring deliverance to the people. As they trusted in you from the womb, so let us be blessed to know you, LORD; let us be blessed to do your will. Strength we should all take in you, O LORD, for you teach us from our youth to this day: the moment we turn to you, you come to us, and from our souls you would never take your leave. O let us trust in you, that in our lives your works might be done. How hard it is for our wounded hearts to believe the glory you bring into our midst, dear LORD. Your presence is overwhelming to us and so difficult to bear. But you would make it easy, if we had but faith. Turn our hearts to the call to serve you, that we might be ready to receive you. O let us speak in your Name! Each of our readings today mentions the salvation of our Lord. The above quote is from our gospel; our psalm states, “The lives of the poor He shall save”; and in our first reading it says, “In His days Judah shall be saved.” The very name “Jesus” – as given to Joseph by the angel of the Lord – means “God saves”. The great God of the universe, the living God who has brought us all to birth, comes among us, “is with us” (“Emmanuel”) to save us, to redeem us, to bring us back to our “own land”… to be again with the Father. And this “righteous shoot to David,” this king who “shall reign and govern wisely,” who “shall do what is right and just in the land,” is born from above, not below. As the angel also tells Joseph, “It is by the Holy Spirit that [Mary] has conceived this child.” The Virgin is with child! Alleluia! A greater sign, a more complete love from the Father we could not imagine. And so we sing with our psalmist: “Blessed forever be His glorious name; may the whole earth be filled with His glory.” Indeed, all nations, not only Judah, shall be saved by this Blessed Child. “The days are coming,” brothers and sisters, and are already here. The Lord walks among us. The Child has been born, and is being born in each of us; and as a people He comes to us. Mary “bore a son”; Joseph named Him “Jesus”, as instructed, and Jesus He is – His salvation has come forth. You must receive Him into your home with the Mother who bore Him. You must have faith that He is from above. Let Joseph be your model in care for the Savior, and He shall care for you for all eternity. Like Mary, nourish the Lord every day of your life. His love is growing in us all. His presence is becoming known. The promised of the ages dwells with us with His justice, and His kingdom is being built as we speak. No more will our sins condemn us. No more will we hide our faces from the Lord. We shall be free once more, and this time forever, for the Lord has heard the cry of the poor. praise you for your justice! YHWH, your Son saves us from our sins. For this you have sent Him among us; for this He has been conceived by the power of the Holy Spirit in the Virgin Mary – it is for this He has been born a Man. O let be accomplished that for which He has come! From Egypt you rescued your enslaved sons. From the land of the North you brought them back to their home. From all sin you now deliver all men, beginning with the Jew. O LORD, you hear us when we cry out – let us cry out to you that this day we might be saved. Let us welcome your Son into our home, that in Him we might find our eternal union with you. O LORD, let the earth be filled with your glory! This is your will, this is your desire… this is the goal to which all your Creation is straining. Speak to us this day that we might know the way you would lead us, and let us follow the angel’s word to freedom in the reign of Jesus. Since “the scepter shall never depart from Judah,” the reign of Jesus, His descendant, His fulfillment, is without end – He is King forever. And so, “tribute is brought to Him, and He receives the peoples’ homage,” which is in itself their salvation. Who is this Lion of Judah, fulfillment of Jacob’s prophetic blessing of his son? What sort of king have we? It is in the words of our psalm we find His kingship revealed: “He shall defend the afflicted among the people, save the children of the poor.” For Jesus, though fierce as a lion in His judgment – for there is nothing untrue in Him – reveals primarily the love of God the king must embody. In His reign, “the mountains shall yield peace for the people, and the hills justice.” First is the love He brings to this generation; second, its complement, justice. And of what worth is the “family record of Jesus Christ, son of David, son of Abraham,” we find in our gospel today? Be not overly bored by it, my brothers and sisters, for in its mundaneness it holds the key to our salvation. For it reveals how very real Jesus is, that He is part of our human family; and should this not make us rejoice, that the Son of God is also Son of Man? And though the forty-two or so names may not be familiar to our ears, we should know at least that there are all kinds in this family tree of Jesus, from great men and women of faith humble before their God, to wicked kings and a prostitute. There is thus hope for us all. Today we praise our brother in the flesh and pray to be made one in His Spirit. May He indeed rule over all. for this He has come among us. YHWH, your Son rules over all; from sea to sea and to the ends of the earth His rule extends, for He has been born into our midst, He has become part of our generation, and so all in our midst, every generation, is under His reign. Alleluia! All the tribes of the earth should rejoice in Him, O LORD. Though David’s Son and so of your Chosen people, yet your prophets have foretold that every people shall bow down before Him, even as all David’s sons. This Lion of Judah shall govern all with justice, shall bring peace to all who call upon His Name. Alleluia, LORD! For this grace we thank you. Truly the Name of Jesus shall remain as long as the sun – forever His Name shall be blessed in our midst. For He has come among us to save us; He is indeed one of us and brings divine blessings in His wake. O LORD, in every heart let Him reign! “Shout for joy, O daughter Zion! Sing joyfully, O Israel! Be glad and exult with all your heart, O daughter Jerusalem!” Zephaniah exclaims. “Shout with exultation, O city of Zion”! Isaiah urges. And Paul is overwhelmed with the spirit of rejoicing. Why such joy? Whence such celebration? “The Lord, your God, is in your midst, a mighty savior,” Zephaniah declares. “Great in your midst is the Holy One of Israel!” Isaiah proclaims. And Paul tells us simply: “The Lord is near.” What could bring greater joy than such a prospect? And so we “have no further misfortune to fear.” And so we should be “confident and unafraid.” And so we should “have no anxiety.” For the Lord will “renew [us] in His love.” Our strength and [our] salvation is the Lord,” and “the peace of God that surpasses all understanding will guard [our] hearts and minds in Christ Jesus.” Why should we not be joyful if He Himself “will rejoice over [us] with gladness,” if because of us He sings “as one sings at festivals.” Should we not match His joy poured out for our sakes and sing the song of salvation? And it is John the Baptist who hails most clearly the song of salvation coming into our midst. It is he who “preached good news to the people” with all the power of God, exhorting them to holiness that they might be gathered as “wheat into His barn.” By him “the people were filled with expectation”; by him and by his pronouncement of the coming of Him who “will baptize [them] with the Holy Spirit and fire,” the song of joy is ignited in their hearts. He calls us all, by the Spirit that filled Isaiah, to “give thanks to the Lord, [and] acclaim His name.” It is he who “among the nations make[s] known His deeds, [who] proclaim[s] how exalted is His name.” And the souls of even tax collectors and soldiers turn to him in anxious anticipation. And yes, what about us, brothers and sisters? Is the joy of Christ brimming over in our hearts, despite any situation? Do we hear the voice of the Baptist – and the prophets and the apostles – crying out His way of peace? And do we follow as the voice instructs? Indeed, the Lord is near; He is in our midst. Let us welcome Him with the purest of joy. Music: "Head Over Heels, Turn Around" from The Innocent Heart, first album of Songs for Children of Light, by James Kurt. that we might be ready to rejoice and give Him praise. YHWH, the fire of the Spirit has come to us; John has proclaimed the light in our midst. Jesus, your Son, is now among us, and what should we do but rejoice? O LORD God, holy is your NAME, and holy is the One whom you send to us. So holy is He that we are not worthy to kneel at His feet. For He reflects your greatness, O LORD; His light is your own. How can we stand in your overwhelming glory, except that in Him we receive your promised mercy in our soul? What mercy you bring us this day, LORD God! What grace is ours in the word the Baptist speaks. For he proclaims the Christ come among us – he proclaims the salvation of your lowly ones. We are but your servants, LORD, unworthy to wait on your only Son. Yet you bless us with your loving mercy and invite us to perfection in Him. And so, what can we do but rejoice? Elijah has come, to “restore everything.” The word has fallen like fire from heaven to prepare a path for the Lord to tread. The Baptist has cried out as a voice in the wilderness for us to make our hearts ready for the coming of the Lord. But, sadly, “they did not recognize him and they did as they pleased with him.” They rejected the voice crying to them and attempted to cover over the way the word had cleared before them. He who came “to turn back the hearts of fathers toward their sons, and to re-establish the tribes of Jacob,” was himself turned back; and they cast him into prison and beheaded the great prophet. Yet the way remains open to us. He whom the prophet hailed has come into our midst, and His presence cannot be taken away – even to the end of the age (which is upon us). And we must join with our psalmist today in calling upon Him to “come to save us,” to “look down from heaven, and see,” to “take care of this vine” planted by His right hand. “Give us new life, and we will call upon your name,” must be our prayer, especially in this Advent season, for we must awaken and enliven the path to God the Baptist has served to blaze in our hearts. We must know now Him whom he has hailed. And, yes, with this Elijah and with the Son of Man, we too will suffer at the hands of those who would silence the Word, who would extinguish the fire set upon the earth. But the fire is eternal and its light and power cannot be dimmed, much less extinguished. It will purify those who seek the face of God and destroy those who turn from Him. It cannot be otherwise. Now that the Lord has come, His angels wait in expectation to purge the world. Once more only the prophet Elijah will appear and the flaming furnace his words prepare will be fulfilled in God’s eternity by the return of the Son of Man. In absolute glory the Lord will reign. your Son is now present to save us. YHWH, rouse your power and come to save us; purge us in the fire your Son has set upon the face of the earth. The Baptist has come in the spirit of Elijah – the way of the Savior is now prepared in our midst. But we must walk this way of fire; we must be sanctified by the Holy Spirit, if we are to walk in the way of your Son. If our hearts are to be turned to you, LORD, we must have faith in the One to come. And this path is one of persecution; it is one that reduces us to straits. For nothing unholy can enter your presence, and so we must be prepared along the narrow way. O LORD, make us strong in following you this day! The Son of Man is now among us, He who has suffered and died for our sake. May the fire of the Spirit He sends, LORD, make us ready to share in His death, and so His glory. and there remain in joy. No doubt it lies with God. It lies with the Son of Man, come for our salvation. “I, the Lord, your God, teach you what is for your good, and lead you on the way you should go.” Is it not our essential call to obey His Word, to listen for His voice and follow in His way? Are they not happy who hear the Word of God and keep it? Is this not wisdom, to walk in the way of our Creator, with the One who loves us above all? Does not all our misery stem from disobedience to His sacred commandments? Do we not in this way of our own making not simply lose all love in our hearts? Does this not bring our death? If we would but follow the Lord, our “prosperity would be like a river,” no doubt. Our “descendants would be like the sand,” for “like a tree planted near running water” we would flourish with the wisdom which comes from the font of life which is the Lord, and one would we become with all the children of His eternal kingdom. We cannot expect the Lord to dance to the tune we pipe or wail to the dirge we sing. It is the height of foolishness for the creature to attempt to impose its will on the Creator. But such is our pride, the source of our wickedness. And so, deaf, blind, and empty are we when we seek to turn the order of the universe back upon our God. For “like chaff which the wind drives away” our own foolish counsels can all but come to naught. The branch cannot grow apart from the vine, nor can the tree bear fruit without the water which gives it life. “Happy the man who… delights in the law of the Lord and meditates on His law day and night.” For then the nourishing waters are upon him; then the light of wisdom fills him – then he shall bear fruit a hundredfold and never taste of death. For the Hand of God will be upon him to lead him to the eternal kingdom, where His wisdom will be proven true. your way to eternal life. YHWH, let us follow in your way, in the way you call us to walk. Let us not follow in the way of the wicked, the way which vanishes, but walk with you, meditating on your Word, and we will come to life, to life everlasting with you. If we do not listen to your Word, what fools we are, O LORD! If we seek our own designs and to impose them upon you – what greater foolishness can there be? O let us recognize you as God and not ourselves! And may obedience to your voice be our salvation. John appeared neither eating nor drinking to show us the path of sacrifice that leads to you, that enables us to overcome this world and find your kingdom. Jesus ate and drank for He is of your kingdom and calls all to your table on high. O let us witness to your Wisdom at work in all things! a wisdom we cannot gainsay or deny, a wisdom we must accept to find its light. There in your Wisdom let us make our home, dear LORD, and we shall prosper unto eternity. A “worm” and a “maggot” are we. We are “the afflicted and the needy [who] seek water in vain, [our] tongues… parched with thirst.” But holding our right hand, the Lord speaks to us: “Fear not, I will help you.” “I will open up rivers on the bare heights… I will turn the desert into a marshland, and the dry ground into springs of water.” And has not John the Baptizer come, into the desert, into the wilderness, and there poured the water of God’s compassion upon us for the forgiveness of sins? Lush trees now grow in the desert: we who were once empty are now filled with God’s grace. And yes, “the hand of the Lord has done this, the Holy One of Israel has created it.” For all these wonders accomplished in our midst are but to “make known to men [His] might and the glorious splendor of [His] kingdom.” Indeed, we now “thresh the mountains and crush them, to make the hills like chaff,” but all this is done in His power. And how then do we understand Jesus’ words: “From John the Baptizer’s time until now the kingdom of God has suffered violence, and the violent take it by force”? We know that John spoke boldly in the name of God; unafraid of his oppressors, he called all to repentance. We should all learn from the power of God he displayed in crying out in the wilderness. We know also that at the time Jesus spoke the above words, John was imprisoned in Herod’s dungeon, suffering genuinely the violence of this generation. We know Jesus Himself will be crucified. We know all the apostles (save John) will be martyred for the faith – all His children suffer under the weight of the cross imposed by the violent of this world. But we know also that this very cross is the means God has chosen to most poignantly reveal His powerful hand at work. For the nails which fix our hands to the wood have no power over us, and so by the humble acceptance of the violence of this age we do most dramatically destroy, crush into dust, the mountains of this world. And we upon whom the greatest violence is inflicted indeed effect the greater violence upon our oppressors, for by this sacrifice wickedness is destroyed and the righteous enter the kingdom of heaven. Let us act with such strength from God, brothers and sisters, for the sake of the kingdom. but enter into your kingdom. YHWH, Elijah has come as a threshing sledge preparing the way for your Son – and now all souls may enter your kingdom! To the desert of our lives you have brought your water, O LORD. We who were parched and lifeless have heard the Baptist’s call to repentance and known the grace that comes to us thereby. Your Son, your very Son has come among us and opened the gates of Heaven; in His sacrifice you show your great compassion, and now this tree of life flourishes in our midst. To the Cross we must all be nailed, dear LORD; all the evil in us must die. But what blessing such violence brings! For joining ourselves to your Son’s sacrifice, the glorious splendor of your reign is revealed to our eyes. Though we must die, LORD, you live in us and remain in us until the end of time. And so for such grace we bless you; so this day we heed your Son’s voice. Let us be washed clean in the water from His side and come quickly to eternal life. What a promise Jesus holds forth for those who come to His “gentle and humble” heart: “Your souls will find rest.” We know that the great St. Augustine has told us that only in God do our souls find rest. How we wander aimlessly in trackless wastes seeking comfort for our souls, rest for our weary bodies, taking refuge in the various attractions of the world and the vain promise they hold. How late in life all of us come to the fulfilling promise of Jesus, for any time spent apart from Him is but wasted. And thank the Lord that He is “merciful and gracious.” Thank Him that “not according to our sins does He deal with us.” For what hope would we have then? But this great God who has no equal, who holds the world in His hand, “redeems your life from destruction, He crowns you with kindness and compassion” despite your sins, if you but come to Him as He calls. How patiently Jesus waits for each of us, this only Son of God, this image of the Father and embodiment of His love. How gracious He is toward us poor creatures. Will you not take His “yoke upon your shoulders and learn” from Him? Will you not find refreshment from all your sins and forgiveness of all your crimes? Will you continue to turn your face away from Him who watches over all and weigh yourself down with anxiety? Or will you come to Him, your only hope? Take the light burden of His gracious Word upon your souls and do His will in this world. let us be blessed in Jesus your Son. YHWH, you make our burden light by the Cross of your only Son. He takes our sins upon Himself and carries them away, and we need but turn to Him and walk with Him to find rest for our souls. How great is your announcement to us, O LORD; how great your blessing! For you who are Creator of Heaven and earth promise your own strength to those who believe in you, who turn to your grace and mercy. Our sins you remember not, our iniquities you pardon; and finding no condemnation at your hands, we are free to soar as with eagles’ wings – for what punishment can there be if it comes not from you? O LORD, for all your benefits let all men bless you and your holy NAME. Let us come this day to your only Son and share the blessings upon Him. He will carry our burden in this world and so our yoke will be light. Deep in our souls let us know your compassion, and we shall soar on your heights. to turn our hearts to the Lord! “Silence, all mankind, in the presence of the LORD! And His own stirring forth causes John the Baptist to stir forth, to “leap for joy” – thus is opened the mouth of the one who will proclaim His way. On this the feast of Our Lady of Guadalupe we celebrate the Lord’s stirring forth in astounding fashion in the Americas. As the Lord looked upon His humble servant Mary to bring forth the only Son of God, so He smiles upon the humble Juan Diego, to bring the conversion of a continent. His Mother comes humble and with child to bring new birth to a land in darkness… And how that land sits in darkness now, awaiting renewal by the graces from His hand. “He has looked upon His handmaid’s lowliness” once, and again; let us pray a humble spirit He shall once more find in this place and on this earth, that indeed “the hungry shall be filled with good things,” that He who has “lifted up the lowly” will remember them now that they are trodden down, now that the most humble are destroyed in the womb. “Many nations shall join themselves to the Lord on that day.” And many have. But how sincere is their commitment to Him? Are they truly “His people,” and so will “He dwell among” them? Have we cause to “sing and rejoice,” to be as she who “proclaims the greatness of the Lord” – or to cry tears of sorrow for the land to which we have come? For the womb is barren; the spirits are proud – and in these the Lord takes no joy. Silence before Him we must find once again, that He might turn to us and bring new birth to this land. and renew our languishing souls. Music by Roger and Carie Fortney; used by permission. at the approach of your Son. YHWH, you sent the Mother of your Son to a land in darkness, to a barren place, that the people might be converted to the faith, that the blood upon their hands might be washed away. May she come again to this continent and this world that unholy sacrifice might again be stopped by her humble presence. O LORD, bring us new life! LORD, we would rejoice in you and in your presence in our midst. We would see all the nations gathered into your arms. But how can you come to a place that despises life, that kills its children in the womb? Have pity on us, dear LORD, and send Mother Mary to prepare the second coming of your Son. The Baptist awoke and leapt in his mother’s womb when Mary brought his Savior to him. O let us awake this day, dear God, awake from our slumber in such darkness and come into the light of your day. Let us be humble and lowly as she who bore your Son, and we shall be lifted with her to your side. Save us, O LORD our God. by those called into her walls. that in their blood we always find our growth. Like a shepherd He leads us. With great concern He watches over His flock, careful that none is led astray. And diligent is He in finding the one who “wanders away.” This is indeed “good news.” These are indeed “glad tidings,” which make even “the trees of the forest exult.” For He cares about each one of the many of His creatures, and shall bring all back to Him by the sound of His gentle voice. And of His sweet voice we must cry out. “Sing to the Lord; bless His name; announce His salvation day after day.” For all the earth must know that “He shall rule the world with justice and His peoples with constancy.” And so “a voice cries out: In the desert prepare the way of the Lord!” May all hearts be ready to meet Him. When “every valley shall be filled in, every mountain and hill shall be made low… then the glory of the Lord shall be revealed, and all mankind shall see it together.” O that that glorious day might come! It is only in His eternity that we shall find a home, brothers and sisters. And into these arms He now gathers us. And with His food He now feeds us. Let us partake of His presence in Word and in Sacrament as we await His coming. YHWH, truth has sprung out of the earth, for justice has looked down from Heaven and our redemption has come – Jesus has been born among us. He is the holy way, the way that leads to the splendor and glory of your kingdom. He is as the stream in the desert that cleanses our souls of all sins and so prepares us to dance and sing with Him in your eternal presence. We who were lame now leap like a stag for the blessing we have received from our Savior; yes, we have been forgiven, and are now crowned with everlasting joy. O let your splendor come to us this day, dearest LORD and God. May we hear these blessed words from the mouth of your Son: “Your sins are forgiven.” O let us rise and walk with Him to our heavenly homeland! The parched land cries out to you; let your water pour down upon us that in the power of the Holy Spirit we might blossom forth with His gifts. Strengthened by such grace let us do your holy will in all things. “Then will the lame leap like a stag, then the tongue of the dumb will sing,” prophesies Isaiah. And Jesus says to the paralyzed man, “Get up! Take your mat with you and return to your house.” And what did the man do? “He picked up the mat he had been lying on and went home praising God.” “We have seen incredible things today!” the crowd exclaims in awe, for the great vision of the prophet Isaiah has come to pass before their eyes: before them is being set the path to paradise. “Hear what the Lord proclaims,” brothers and sisters: “Justice shall walk before Him, and salvation, along the way of His steps.” Along His holy way “the redeemed will walk. Those whom the Lord has ransomed will return and enter Zion singing, crowned with everlasting joy.” All those forgiven their sins will enter their homes praising God. Yes, the “desert and the parched land… will bloom with abundant flowers, and rejoice with joyful song.” We once paralyzed in our sin, by His hand, by His word, along His holy way, shall walk once again. He has come. “Here is your God, He comes with vindication; with divine recompense He comes to save you.” In Him “kindness and truth… meet, justice and peace… kiss.” In Him we are made whole by the breath of His mouth, by the words from His lips. And now we have “a journey to make.” Now there is a way to walk. Let us remain upon this highway. Let us preserve the healing He has brought to our bones. Let us now live in faith with our Lord. that we might come to you on straight paths. YHWH, how shall our flesh see your salvation? How shall we come to your glory, we poor, miserable creatures? Only because you call us to redemption. Only because you desire us to share in your heavenly majesty. And only if we make straight the way for your Son to come into our hearts. O LORD, let us ever increase in knowledge of what is good and lasting, that we might be made pure and blameless for the day of Christ, that we might become as He is, blessed to be called your sons. O let us give glory and praise to you for such a blessing! Restore our fortunes, dear God; may we who have been separated from you and sent into exile be brought back to your holy City, to your mountain. As on royal thrones let us be borne aloft to gaze upon your splendor and glory, O King of all the nations. Great things you have indeed done for us, for now our weeping is turned to joy and we enter your presence bearing great fruit. Alleluia! and His love for His children. Yes, at a particular point in time, in the year delineated so precisely by Luke in our gospel, “the word of God came to John the son of Zechariah in the desert.” The Holy Spirit whispered in his ear, set his heart on fire, and so called him to cry out the coming of the Lord upon the nation. And “John went throughout the whole region of the Jordan,” calling all souls to “a baptism of repentance for the forgiveness of sins”; being thus inspired, what else could he do? The Spirit so powerfully upon him, of what else could he think? The long-awaited Savior is finally near – and the people must be ready. And so, sinful flesh is made clean in the Jordan River. And so “the rough ways [are] made smooth,” “the winding roads… made straight,” for nothing crooked shall meet the Messiah. We do not come to Him in sinful garb. O “Jerusalem, take off your robe of mourning and misery; put on the splendor of glory from God forever.” Plunge yourself into the waters that make new. Let all of the old man be washed away. “For God will show all the earth your splendor; you will be named by God forever the peace of justice, the glory of God’s worship.” “See your children gathered from the east and the west at the word of the Holy One, rejoicing that they are remembered by God,” joyful that He has come. All the earth shall be blessed through you and the royal tree that grows in your midst. “When the Lord brought back the captives of Zion, we were like men dreaming.” How can it be our salvation has come? And now “God is leading Israel in joy by the light of His glory, with His mercy and justice for company.” In His Church this day we dwell; into His presence ever we come. Obedient to the cry of the prophet’s voice, we turn from our sins and are made anew. And now our daily bread we consume. What joy should fill our hearts, brothers and sisters! that the Lord has come to dwell with us. We eat “the fruit of righteousness that comes through Jesus Christ for the glory and praise of God,” and the strength we find herein He will “complete” on the day of His coming again. Let our hearts be set on fire as was John’s. Let us cry out to all flesh that the salvation of God is nigh. Music: "Please Even Me Out" from Cleansing Human Frailty, fourth album of Songs for Children of Light, by James Kurt. it is you who have found the Lord’s favor. from the enticements of the devil. by the Holy Spirit’s power. pray the Church you bear be so well founded. And she is the sign of such preservation from evil. “Hail, full of grace! The Lord is with you.” And so the Virgin Mother is greeted by the power of the Most High. So she is called – “full of grace” is her title. She whom all generations will call blessed is revealed in this simple greeting as having “found favor with God.” And so, “the child to be born will be called holy, the Son of God,” the Son of her who has been preserved by grace. How wonderfully this is expressed in her own words of consent to His call: “Behold, I am the handmaid of the Lord. May it be done to me according to your word.” Here in this blessed obedience she sets in motion the cleansing of our sin of disobedience she shall bring by the fruit of her womb, a disobedience painfully recounted for us in our first reading – a disobedience which has caused us to hide from the face of God. But no longer will we be trapped in this hell. No more will we flee from the presence of Him who is our Creator, for by her humble obedience, and our own, in the grace of the Lord Jesus Christ we will have our nakedness covered over and become holy as He. The Virgin is our Mother. She who has “no relations with a man” has brought about the salvation of all men “in accord with the purpose of the One who accomplishes all things according to the intention of His will.” And so the curse is removed from us. And so we might “sing joyfully to the Lord,” for “in the sight of the nations He has revealed His justice”; through this simple virgin He has brought us His grace. And now we may be pure as He. O let us be your children! YHWH, full of grace is the Mother of your Son; by your will you have made her pure that she might carry Him who is perfect into this world. We praise you for your goodness to her, for it means goodness to us – it means our salvation has come! With every spiritual blessing in the heavens you have showered us by your grace and mercy, O LORD, by the love you offer us in Jesus Christ, your Son and our Lord. And so we might stand holy and without blemish before you; and so we might be even as Mary our Mother, even as Jesus her Son. O let us be incorporated into your glory, dear God! Our sin has been grievous. We have turned away from you. Our disobedience has wrought your just punishment, LORD. But salvation you bring to us this day by the word of the angel. And so we praise you for your faithfulness in saving us; and so we offer our lives with Mary your handmaiden – in our lives let your Word be accomplished. to the truth that is Jesus. lead us indeed to the truth that is Christ. Brothers and sisters, we are blind. All of us. All of us lack understanding. All of us falter in faith. For who among us is there that gazes continually upon the Lord’s presence? Who among us has entered His glory? Who among us possesses no arrogance and has “nothing to be ashamed of”? If yet we toil upon this earth, groaning as we await the redemption of our bodies, then yet do we continue in a measure blind. Yet do we seek His face. And if yet seeking “to see the bounty of the Lord in the land of the living,” then yet have we to find it in its fullness; and so, yet do our eyes lack of the light that is the Lord, our salvation. But certainly we are not without hope. Most certainly His hand is upon us even now. Most certainly His presence comes to us each and every day. Clearly His light shines in our midst in the Sacrament we receive and in the Word we hear, and so we can with confidence heed the exhortation of the psalm of David: “Wait for the Lord with courage; be stouthearted, and wait for the Lord.” For He comes, and we know this. We are catching up to Him, and this is our joy. Yes, today do we know we shall see Him, for our eyes do glimpse Him even now. In the meantime, brothers and sisters, as we wait, as the light that has dawned upon the world rises to our eyes, as He comes to fill our vision, let us strive to avoid speaking any word which “condemns a man.” Let us know that indeed we “err in spirit” and need the Lord’s light to guide us, and we shall become free of that which blinds us. And we shall be the lowly who are raised to His presence. O LORD, let us gaze upon your loveliness always! YHWH, take us out of gloom and darkness that we might gaze upon your face; save us this day from all evil that into your Temple we may come. You are our very light, O LORD – let our eyes be filled with vision of your presence. O LORD, let us never cease pursuing you till we catch up with you and you turn to us to heal us. So far short of your glory do we fall, so far short. Yet you draw us forth as you walk on ahead of us; yet if we keep calling out to you, you shall answer. Never let our hearts be discouraged as we seek the light of your face. O LORD, let us keep your NAME holy; in awe let us reverence you always. Let us remember your love for us and the understanding your Spirit brings. O let our minds be filled with your light as we wait steadfastly for you to come! Open our ears, O LORD; open our eyes. Cast from our midst all arrogance, all condemnation from our tongues. Let us not be condemned ourselves but come to contemplate your glory forever. provide for those in our care. ready for the joys of Heaven. “Trust in the Lord forever! The choice is set before us. “Those in high places” will be humbled to the ground; those who find refuge in the empty things of this world will find no protection on the day of His coming. But for the “nation of firm purpose,” which “comes in the name of the Lord,” “He sets up walls and ramparts to protect.” And they shall “give thanks to the Lord” as they enter the gates of His holy city. Jesus states clearly, “Only the one who does the will of my Father in heaven” will enter His kingdom: the one “who hears my words and puts them into practice” is he who is wise. And the putting into practice is key. Jesus has come in the flesh, and flesh there must be to our deeds. He is real, and we must be as real as He in our love. Otherwise we deny Him. We deny His coming if we do not live His way. God is not across the ocean or in the sky; He walks upon this earth now and must be in our lives. Only this will bring us strength. Only this will enable us to stand when the torrents come and the winds blow and buffet our house – for these have no power over those who are set in the Hand of God, who do His bidding. “Blessed are those who hear the word of God and keep it” (Lk.11:28). We cannot but think of these challenging words from our Lord, referring greatly to the Mother of God – whose service to the Lord we particularly celebrate in these days of preparation – and cannot but hope to abide by them and become the handmaiden Mary has shown herself to be, that the eternal blessings of God might be ours as well. In Him let us trust. In Him let our faith be set. And let us do His will. built on the Rock that is you. YHWH, how shall our city be strong if we do not trust in you? How shall we stand on your Day if we are not your children, if we have not done your will in this world? How can we enter your House and there dwell in peace if we have not the key to your kingdom, if we live not as your Son? O LORD, we shall but fall to the dust and be trampled underfoot if we have only words to offer you. If we have lived our lives in vain, then we have built our house on sand, and it shall but collapse when you stand before us on your holy Day. There is no hope for those who do not come to your Son and put His words into practice. But for those who trust in you and serve you, the gates of justice open up and they enter in and dwell in your presence – these stand strong whatever may come for they stand with you who are the eternal Rock, the foundation that cannot be shaken. Let us enter your House and give thanks to you, O LORD, for you are our Savior and in you we take our refuge. And He will heal us. And He will lead us. And He will feed us. And it is through His Church Jesus works; through the blessing of the priest who raises the bread and the cup, Jesus gives us His Body and Blood – this is our “feast of rich food and choice wines” envisioned by Isaiah. It is He who forgives our sins, He who removes “the reproach of His people,” wiping away “the tears from all faces” in the confessional. He anoints us with the oil of the Spirit in Baptism; He joins us as one in holy Matrimony… He shepherds us with the Word of His teaching, leading us “in right paths,” “beside restful waters,” to “dwell in the house of the Lord” forever. “Let us rejoice and be glad that He has saved us!” If “only goodness and kindness” follow us all our days, what have we to do but rejoice? If we have a Lord who looks with such pity upon our hunger, what need we fear? If it is He who “spread[s] the table” before us, even here in this world, “in the sight of [our] foes,” where sin besets us… what can we lack? If “cripples, the deformed, the blind, the mute, and many others” were healed of their maladies, what sickness of ours is beyond His redemption? In this world we “walk in the dark valley.” In this world we hunger. Here “the veil that veils all peoples” is upon us. But here, too, He is with us to refresh our souls and feed us with His Body and Blood in the New Jerusalem. with His own Body and Blood. YHWH, you are He for whom we have looked, and you come to us in your only Son, who gives to us His Body and His Blood that we might feast upon your presence even in this world. Let us not be afraid but remember that you are with us. How glorious is your kingdom, LORD, where all are made well, where all are fed by your hand. Though we have so little to offer, you take it and bless it and multiply it that we might have an abundance. And so, even in the valley of death through which we must pass, you are with us to guide us, for your Son has gone there before us. On your mountain let us make our home, O LORD our God; in the Word and Bread your Son offers let us take our refuge. He is the mountain on which we must dwell – in Him all death is dispelled and we are made whole in your sight. Let us remain ever on this mountain. pure in the light of God. by the shepherds of the Church. May the Lord keep us in His way. And so, “there shall be no harm or ruin on all my holy mountain,” says the Lord. The vision is sure: “The wolf shall be the guest of the lamb… the lion shall eat hay like the ox… the child shall lay his hand on the adder’s lair,” for all shall live as one in the Spirit of the Lord. “Justice shall flower in His days, and profound peace” – such is the vision to which all hearts aspire. Jesus is the fullness of that peace. And so He says to His disciples, “Blest are the eyes that see what you see,” for what “prophets and kings wished to see,” what Isaiah prophesies for us today, is present there before them. And He is present before us. But we can only see and hear Him if we are as “merest children,” else His presence will be hidden from our eyes. He wishes to reveal Himself, desires to lead us to the Father whom He alone knows, to whom He alone can lead us – but to find such fullness of vision, to gaze upon the face of God, to be filled with His wisdom and knowledge as is His Son, we must first fear Him, as He does, and seek to abide by the words and the commands that come to us by “the breath of His lips.” All must be slain that is wicked in us, and His justice and faithfulness shall be ours. “May His name be blessed forever; as long as the sun His name shall remain,” for He Himself is light, and indeed His dwelling is glorious. With judgment and justice He is endowed, and in the light of His wisdom and grace we stand eternally blessed. But are our eyes open to Him? Now should we pray for the Lord’s light to fill us, for His knowledge to cover us, that our eyes may be open to see Him, that we shall not miss Him as He comes. to your glorious presence among us. YHWH, your Son is our justice; our hope for peace is in Him – open our eyes to see His presence, to see your presence among us. Upon Jesus your favor rests, O LORD, and that favor you would share with all of us; that favor He would share with us if we would but turn to Him with the heart of a child. May we be truly humble, O LORD, truly loving and truly kind, that your justice might be upon us for good, and to your salvation, to your holy mountain, we shall be called. In awe of you let us stand, LORD, our eyes and ears filled with your glory alone. O how shall we bear such blessing? How shall we come to know such surpassing peace? How shall we come to stand in your presence and live in your perfection? Only if your Son reveals to us your glory; only if we are sustained by His grace will we be filled with knowledge of you, our only God. for the salvation of the world? from the hearts and minds of men. For it shall come. “The mountain of the Lord’s house shall be established as the highest mountain…. All nations shall stream toward it,” and there the Lord will give judgment. And His judgment will cause the banishment of war, for all shall be one in Him, and to all He shall grant “shelter and protection,” by night and by day. The coming peace and unity all find on the holy mountain of Jerusalem prophesied by Isaiah is signaled in our gospel passage today as the Gentile centurion approaches Jesus with a request made in great faith. His surpassing faith prompts the Lord to reveal the truth of the coming kingdom: “Many will come from the east and the west and will find a place at the banquet in the kingdom of God with Abraham, Isaac, and Jacob.” For it is faith that brings us to Him and to His blessings. As Jesus remarks to His followers, “I have never found this much faith in Israel,” He is calling them to an increase in their faith. He calls us, too, brothers and sisters, to act more readily upon His commands. Let us not fall short in our service to Him, and the peace of Jerusalem shall just as readily be ours. and find there a home of peace. YHWH, peace reigns in your House, and all those of faith find a place there. From every corner of the earth, men shall stream toward Jerusalem, where you dwell, where you teach the nations. Draw all souls into Holy Church. You are the refuge and protection for all who are purged from their sin; all who come to you for cleansing of the blood from their hands find in you a place of peace and forgiveness, LORD. May all swords be beaten into plowshares – the war come from men’s hearts be banished forever. All nations you call, O LORD, and all those of faith you accept into your kingdom. Let us be obedient in serving you that we might find your peace within our hearts and dwell on your holy mountain forever. So does David sing of the “just shoot” that will be raised up after him; so does he anticipate the coming of Jesus into our midst. But, though the Messiah has been born, though He has come among us now, yet the Lord will not “fulfill the promise [He] made to the house of Israel and Judah” until Jesus returns on the last day. And so, we too await our Savior. And how should we wait? Brothers and sisters, you know “how you should conduct yourselves to please God,” to be found “blameless in holiness before our God and Father at the coming of our Lord Jesus with all His holy ones.” You have been guided in His truth and instructed by the one who “teaches the humble His way.” “The friendship of the Lord is with those who fear Him, and His covenant, for their instruction.” And you fear Him, and so receive His instruction. Continue to do so. Continue to “increase and abound in love for one another.” Let not the sum of your good works diminish in the least, but “strengthen your hearts,” and what you have been doing for Him, “do so even more.” Until the Day He comes your justice must increase. And “what is coming upon the world” you know as well. The end of the world is upon us and has been since Christ’s crucifixion. All is passing away and shall soon be no more. The nations will look, but they will not see the things they trusted in so vainly. Only “the Son of Man coming in a cloud with power and great glory” will be known; He will be all that is seen. And will you recognize Him? And will He recognize you? Brothers and sisters, with the Lord’s own words I will leave you: “Be vigilant at all times and pray that you have the strength to escape the tribulations that are imminent and to stand before the Son of Man.” Wait expectantly. for the return of your Son in glory. YHWH, help us to increase and abound in love even as we await the return of your Son. Though His coming be with great tribulation, let us not fear but welcome Him with open arms and heads raised to His glory. Jesus is the just shoot you have raised up for the House of Israel; He is the fulfillment of your promise to all who strive toward you. He has come and made Himself known with signs and wonders. He has walked among us to show us the way to you. Let us follow Him in humility, LORD, and we shall reign with Him on the last day. Guide us in your truth, O LORD; teach us your way. Let us remain constant on the path that leads to you, conducting ourselves as has your Son. His apostles exhort us to remain faithful at all times, to be vigilant and pray. His love will indeed increase within us, rising unto glory on the Day of judgment, if we do not turn away from His call, from His kindness upon our souls. Soon shall come the end, O LORD; let us indeed be found ready and waiting.